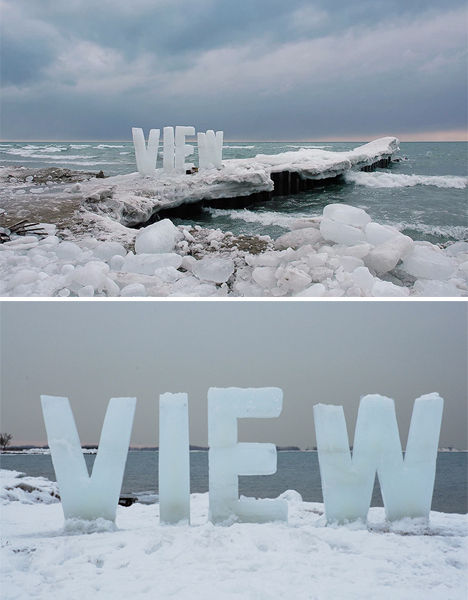 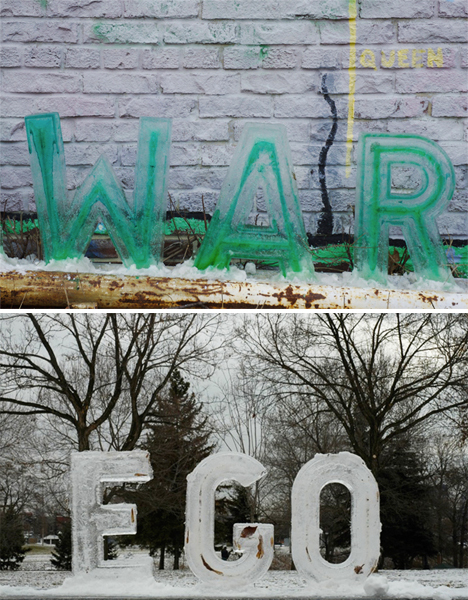 Ephemeral messages ranging from eight inches to eight feet in height stand in public settings for just hours before they begin to disappear, melting into the snow or concrete beneath them. 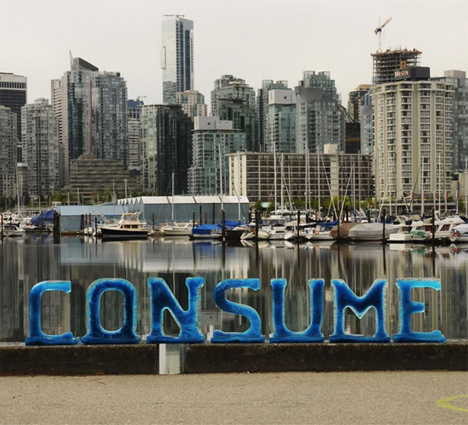 Artist Nicole Dextras makes social and environmental statements that are present just long enough to incite questions in passersby, making the meaning of the words themselves seem vulnerable and transient. 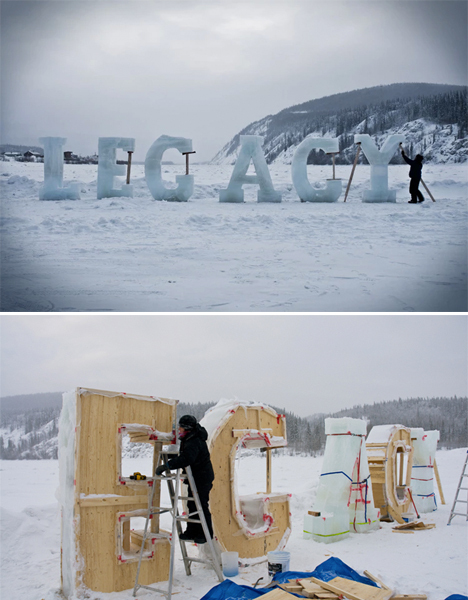 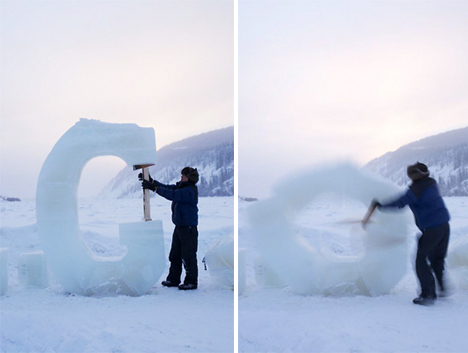 The letters are made using wooden molds and sometimes, in the case of the larger installations, must be propped up as they start to melt – adding to the message of the word, as in the case of ‘LEGACY.’ Many of the pieces question human ownership of natural resources, and the way in which we take over and consume the world around us.